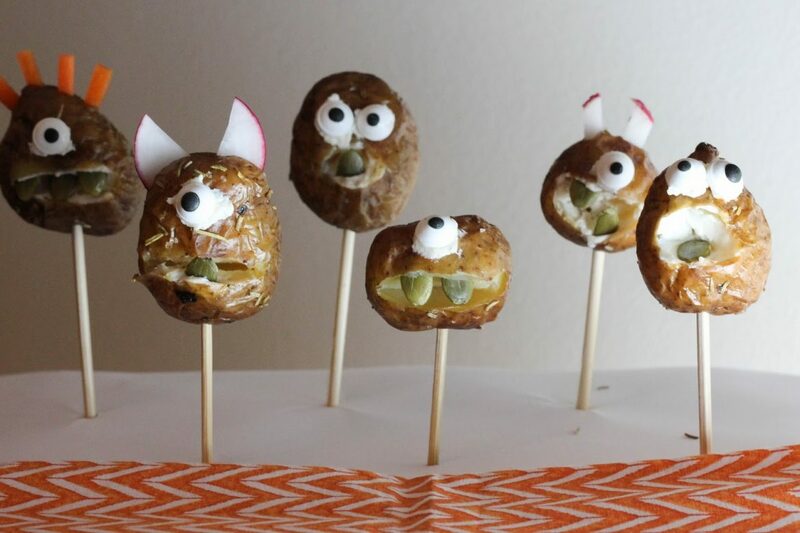 Create your own Halloween-inspired Little Potato heads! Kids can help to decorate! Preheat oven to 350°F and toss the potatoes, oil, rosemary and salt together in a large bowl. 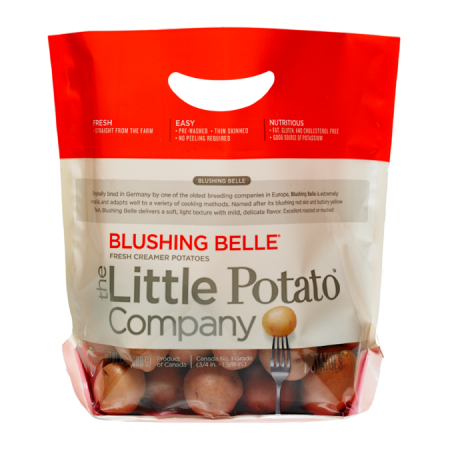 Spread them out onto a cookie sheet and bake for about 30 to 40 minutes or until tender and slightly wrinkly. Turn the potatoes halfway through. Once the potatoes are cooled enough to handle, decorate as desired. To have them stand up, use wooden skewers or long toothpicks and stand them up on a styrofoam block. Keep cool until ready to serve. Best enjoyed cold or slightly warmed.